The latest cinematic outing for everyone's favorite metal-boned Canadian won't just settle for just any old director, says the movie's star. The upcoming Wolverine movie suffered a pretty significant setback this month when director Darren Aronofsky walked away from the project, saying that he didn't want to be separated from his family for such a long time. But despite lacking anyone at the helm, star Hugh Jackman says that the film is still going ahead, and should only be delayed for a little while. Aronofsky's vision for the movie, simply titled "The Wolverine," was a standalone movie, unrelated to the previous X-Men films, or X-Men Origins: Wolverine. The film was set in Japan, and told the story of Wolverine falling for a Japanese woman named Mariko Yashida, the daughter of a Yakuza boss. "[Aronofsky] would have made a great film," Jackman said. "But it wasn't the right time for him personally." Jackman seemed upbeat about the problem, saying, "All we need to do is find a new director," he added. "But we won't settle for anyone who isn't as good as Darren." Jackman had previously described The Wolverine as "meatier and more thought provoking" than your average superhero movie, and hopefully that's something that will still be true regardless of who takes over. Unfortunately, a new director isn't the only problem that the production has to overcome, as it may need to find a new shooting location in a hurry. The movie was originally going to be shot in Tokyo, but after the recent earthquake in Japan, that's far from a sure thing. "That's in limbo as well," Jackman said. "Who knows what the situation is on the ground?" 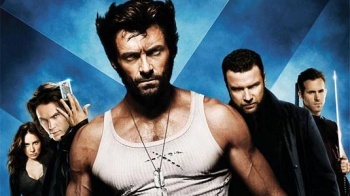 The Wolverine was supposed to come out this year, but with all the problems, it seems rather unlikely now. Hopefully Jackman is right and the movie is only delayed a short while, as a thought provoking superhero movie sounds like a real treat.